There are many Klamath Falls attractions on a Klamath vacation. 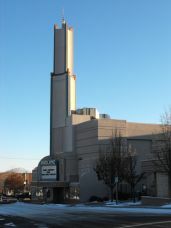 We like to play golf, go sightseeing, going out to eat at some of Klamath Falls, Oregon restaurants, going swimming all year round, going hiking and biking, going ice skating, walking on the many nature trails looking at a variety of birds, going to one of the local museums, or going fishing on Upper Klamath Lake. And there are still more things to do! 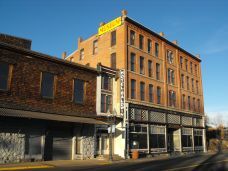 Downtown Klamath Falls, Oregon, has the Favell Museum which features displays of western art and Indian artifacts. Across the street is the Klamath Art Gallery and features works by local artists. Just down the street across the Link River is the Baldwin Hotel Museum where Teddy Roosevelt once stayed. During the summer months ride the Linkville Trolley. A round trip ride only costs $1 and takes about a half an hour. The starting and ending point of the trolley is the Klamath County Museum. Another one of the many Klamath Falls attractions is famous for is golf. Play on one of the many public golf courses – the Arnold Palmer-designed course at the Running Y Ranch and Resort, the Harbor Links Golf Course, the Shield Crest Golf Course, the Indian Camp Golf Course, or the Round Lake Golf Course. All the courses are open year round depending on the weather and if there is no snow on the ground or not. Click here to go to the Golf page. If you prefer hiking or biking there’s the OC&E Trail – this converted railroad line goes from Klamath Falls, Oregon, to Bly, Oregon, and is about 100 miles in length. There’s also the Link River Trail and the Moore Park Nature Trail (both are 2 miles or less). The Link River Trail connects downtown Klamath Falls with the Upper Klamath Lake and is a favorite of local hikers and birdwatchers. Another favorite hike is to the top of Hogback Mountain on the eastern edge of Klamath Falls, Oregon. The best place to start is from the parking lot of the Foothills Christian Church. Plan on the hike taking about 3 hours for the round trip. Be sure to take along good hiking boots, food, water, and dress in layers depending on the season. One of the Klamath Falls attractions available year round is go swimming outdoors! (This is my favorite activity!) I swim laps 3 times a week at the Ella Redkey Pool no matter the weather. The water is geothermically heated and is at a temperature of between 83 and 85 degrees even if it’s snowing or sunny. If it's windy and cold the pool temperature will drop a couple of degrees. Two other indoor pools are located at the YMCA and the Oregon Institute of Technology. After a morning or afternoon of activity relax at one of the many restaurants in the area. There are not too many national chain restaurants other than fast food. For the best places to eat drive down Main Street, South 6th Street, or Washburn Way. Click here for our favorite Places to Eat in Klamath Falls, Oregon. When driving around Klamath Falls, Oregon, don't be surprised to see deer grazing - especially near the Upper Klamath Lake area. At any time of the year bucks, does, and fawns can be seen foraging for food. Remember, to brake for the deer and always make sure the road is clear before proceeding. Some wintertime Klamath Falls attractions include cross-country skiing (when the snow is deep enough), snowshoeing, intertubing, and ice skating. 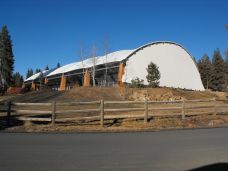 The Collier ice skating rink is located at the entrance to the Running Y Ranch and features ice skating almost 6 months of the year. Ice skating lessons and rentals are available throughout the winter season. Return to Home Page from Klamath Falls Attractions Page.